Are you ready to add a new dimension to your life? Looking to become fitter and more focused? Aiming to become sharper mentally and physically? Change your life today by enrolling in Tiger-Rock Martial Arts adult martial arts training program in Oak Hill! Rather than enrolling in a typical gym, enhance your fitness experience with Tiger-Rock training. 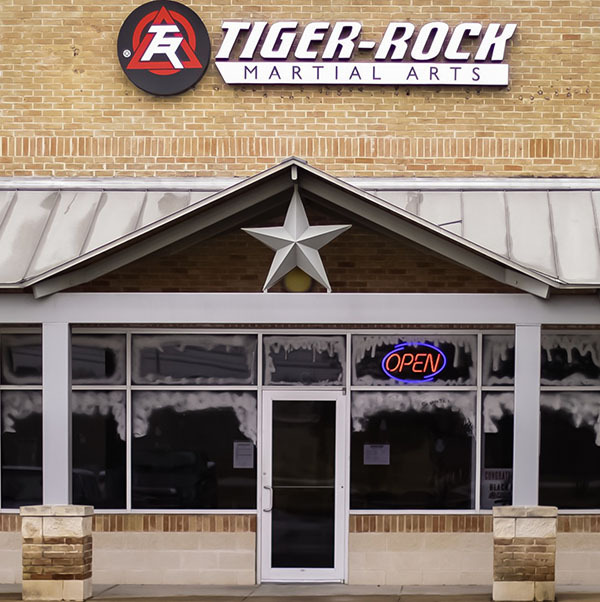 Tiger-Rock adult taekwondo martial arts and self-defense in Oak Hill TX is the perfect place to begin. With a convenient location on US 290 at Monterey Oaks Boulevard, we’re just minutes away from all the wonderful communities in Oak Hill! 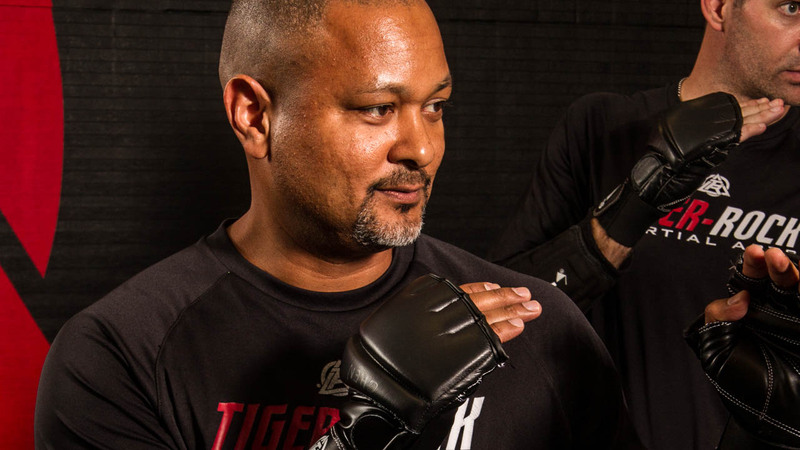 For over 30 years, Tiger-Rock Martial Arts has trained adult students to improve their physical and mental acuity. Our martial arts taekwondo training program helps adults in Oak Hill with self-defense and will help you achieve goals and milestones in life you may have not thought possible. Our core adult martial arts program combines key elements of taekwondo and physical fitness. Together, this forms an incredible workout that is unlike anything you could experience in a gym! Our adult martial arts training in Oak Hill features drills for striking, blocking, and kicking. In addition, a typical class features form exercises as well as martial arts calisthenics. With our drills, you can bolster physical strength, build mental toughness, and boost your confidence! While taekwondo is the foundation of Tiger-Rock’s martial arts training, we believe that being a well-rounded martial artist means using your feet and your hands. We also know that building total body strength is important. As a result, we’ve developed an adult taekwondo curriculum in Oak Hill that helps you develop the effective use of your arms and legs. Striking and kicking drills are core parts of our adult martial arts training. With these drills, you can build upper and lower body strength. Consequently, you can also increase your stamina. These active movements also help enhance your coordination and improves your motor skills. Also, you can enhance your focus with these drills. Whenever you are watching a martial arts demonstration, you’ll probably notice the speed and agility of the martial artist(s). It’s possible for you to acquire that quickness! 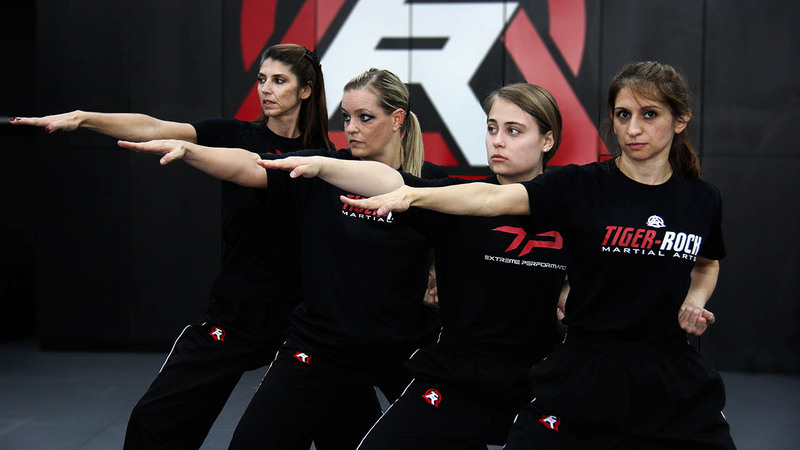 Tiger-Rock adult martial arts training enhances your physical keenness with speed and agility drills. These drills focus on improving your upper and lower body movement. Your arm movement will become crisper. Your leg movement will become nimbler. You’ll notice an improvement in the quickness of your body and your ability to react. Self Defense This is an unpredictable world. Therefore, you need to have the essential skills to deal with what comes your way, such as physical threats. That’s why Tiger-Rock Martial Arts offers real-world self-defense training in Oak Hill as part of the adult martial arts program. You will learn important striking, kicking, and blocking techniques to properly defend yourself. Counter Aggression Elite Counter Aggression Training is an integral part of our adult taekwondo martial arts and self-defense training in Oak Hill. This is more than just your typical self-defense system; our system teaches you the skills and tactics necessary to deescalate a physical threat. We’ve all been there: being undisciplined and lacking confidence. You sometimes might feel a little overwhelmed. Or possibly, you might feel like that you lack what it takes to accomplish a goal. While that might seem like a lot to overcome, a few simple lifestyle changes can make the difference. Tiger-Rock adult martial arts training helps instill self-discipline and boosts self-confidence. As you advance in your training and skill development, you will notice certain changes in your lifestyle. Face daily challenges with greater self-efficacy due to more confidence. Furthermore, you can become more focused and exhibit greater discipline in accomplishing tasks. Get started today for only $39! Start your journey today at Tiger-Rock Martial Arts of Oak Hill TX. Call 512-731-5425 for more information or click here to email us!